This is the third monthly posting on the progress of my 'pinboard' project. If you are new to these posts, you may wish to browse the two earlier posts before reading on, so that the comments here can be taken in context of what has gone before. Scales - Having initially discounted using 2mm and 3mm as being too small for my banana fingers, I had been collecting and painting 6mm samples, as being the most obvious scale to do this project in. However, this month I also bought samples for WWII, napoleonics and ACW in 10mm to see whether I could push the scale higher, having regard for the limited playing space that the pinboard offers. My own rules can be made to fit with the size of the board, but commercial rules are generally designed for bigger tables and so bringing those rules to the pinboard requires a scaling down of distances and unit size. Converting inches to centimeters seems a common and straight-forward fix, but I am slightly wary of unit size reduction because I want my units to look like units .... not a few stragglers in a thin line. During my painting and basing exercises, I felt that the unit footprint was the important part to get right for reasonably sized games on the pinboard, while what goes onto the base becomes more a question of aesthetics, though there is a cross-over between the relationship of the figure scale and terrain scale if the game is to look right and yet remain functionally small. I also want to allow formation changes to be available. For the likes of napoleonics and ACW, I need a minimum of two bases per unit, so that line and column (and square) can be visually represented. Two bases at 40mm wide seem to give a good representation of a line at the small scale, though I note a lot of rules use a minimum of 4 bases per formation and so generic small bases of 20 - 30mm wide may be better. My keeping of a fixed basing size and upping the figure scale just means less figures per base. At what point this becomes less visually pleasing to the gamer is a personal choice. Where unit footprint is harder to control is with WWII, as the growth in the tank size cannot be restrained by controlling a base size, the same is true of anti-tank weapons, both of which are noticeably larger than their 6mm cousins. Again it just comes down to user preference and how much stuff you want on the table. In 6mm, the armour looks good on the board and gun ranges seem to fit the model scale better, but some may (as I do) prefer the aesthetic and handling of the 10mm vehicle, though the detail in GHQ's 1/285 scale (which I don't have) is hard to beat. Above - The 10mm tank has a bigger footprint, but the 6mm infantry (and anti tank gun - above left) are visually less impressive and harder to handle than the larger 10mm scale. 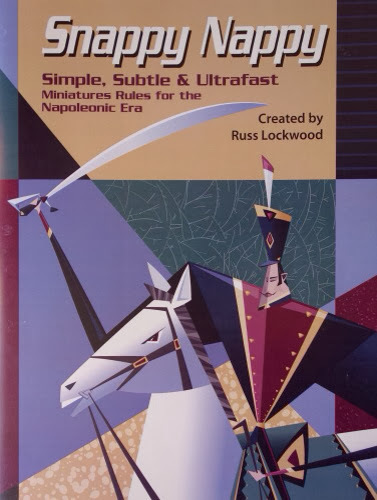 If you already have a favourite rule system, then basing to that system is probably already done. But if you want a more generic type, basing to cover the widest range of rulesets, then how causualties are recorded or firing is calculated will matter, since this is often (but not always) done by 'the figure' or 'stand'. My inclination towards 6mm is that the terrain is very much suited to a pinboard sized gaming area (see the baccus rivers in the terrain section of this post) and of course the figures will match that terrain. I can cram quite a lot of figures onto the bases, so a sense of mass is achieved for say napoleonic cavalry, which I have done in two ranks of 7 on a 40mm frontage (Heroics and Ros figures) giving 14 riders or infantry in three ranks, giving 24 - 30 figures per base - so even just one base can be used to represent a formation, but two bases, side-by-side look very good. My inclination towards 10mm is that I still like the 'individual' look of the figure. I feel they are easier to handle and paint, while they still remain as identifiable characters at typical sitting distances. It is surprising how many 10mm figures you can still get onto a 40mm base. The extra height and bulk of the figures brings a mass of its own, although the third rank on the infantry base and second rank on a cavalry base is typically lost if keeping the same unit footprint as the 6mm counter-part, so the bigger figures give bulk lead mass and the smaller give head-count mass. With the larger scale, you can start to get a mis-match with the terrain if you try to keep the terrain very small, so obtaining either big 6mm or small 10mm buildings and such like is preferable. Below - My painting and basing of Kallistra's 10mm ACW (described as big and 12mm) allowed 8 figures to a 40mm base in two untidy ranks. These figures are big, reminding me of the old and original 15mm figures (and are lovely for that) and suggest that even on our pinboard, 15mm would work, accepting there will be less figures per base, terrain matching may need more consideration and again, WWII vehicles would move up a notch in the space that they need. Terrain for the larger scales needs to be more carefully selected for the small pinboard, with both 6mm and 10mm items being useful, but judged on a piece by piece basis (i.e. 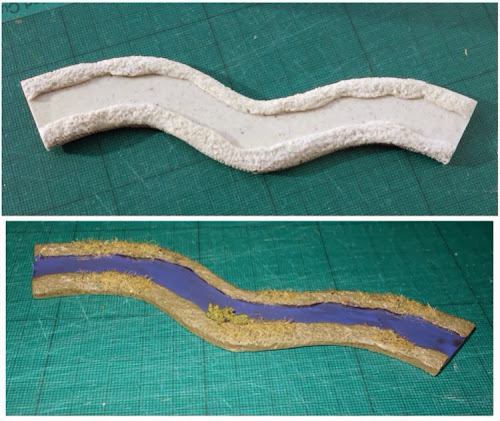 a 6mm river system or field system, but perhaps 10mm walls etc. I have just picked up a 10mm stone church, but I deliberately chose one that looked fairly compact and therefore fits well onto the board with the larger scale). Above - On the left are two 6mm units (left Heroics and Ros, centre left Baccus) and to the right are two 10mm units (Pendraken figures), note the extra rank on the 6mm bases, though they are on a slightly deeper base and would look okay with the entire formation being represented by a single base - if the rules allow for that. The 10mm still gets a respectable 12 figures in two ranks per base here, so we can have a two base unit of 24 figures. Essentially I have kept frontages the same, so it is the figure count and the look of the figure that will most influence choice of scale. It feels a tough call to decide between the available scales for the pinboard and while ordering the extra samples and painting them up has been time consuming, it has been worthwhile. I think for the most part, it comes down to being simply a matter of personal preference, mass appearance and fast painting suits 6mm and smaller, for most other things 10mm and even 15mm undoubtedly serve well, accepting that the terrain also gets bigger. Those who already have invested in figure collections will likely have their mind already made up for them, but one of the purpose of this series of project posts, is to encourage those who want to begin figure gaming at either low cost / low risk, or they are space limited, to have a go. By the time I do my next update, I will likely have settled on a scale in at least one period and should be able to show some rules in action on the table. Despite 6mm vehicles seeming to be the more practical size to use on the pinboard, I prefer the larger 10mm WWII infantry figures, so I will likely try a small force of 10mm WWII first and see how that goes. Grids - This has perhaps been a bigger distraction to me than scales! I have a natural inclination towards grids, being quite rooted in the boardgame world. Having got the pinboard looking OK, I sudenly got the urge to grid it. I am not a big fan of small grids, but things that start at say 4" are fine because at this size you can start to get both terrain and troops into the square (or hex) and having troops move in 4" stages feels quite natural, even on our small board. I don't like the grid to look too dominant on the board, which can happen with very small hexes or squares. I already have a home grown set of WWII tactical rules that use squares and these are presently in a form that support a boardgame that I did as a DTP effort. So I spent several days furiously converting those rules back to figures, re-working the scale (now 125 meters to the square instead of 100 meters) and dropping the grid size from 9 x 6 to 8 x 5 to mate properly with the pinboard. This also required me to paint squares onto the board (I forgot I bought the string and pins to make a temporary grid). Anyway, for a variety of reasons, I decided to abandon the square grid (for now) and return to an open board. This meant painting over the grid, which refused to properly disappear, so I covered the board with 'tacky glue' and sprinkled two different tones of fine turf (from Woodlands Scenics) onto the board. The result is that the board now looks better than before and has a surface that is easier on the fingertips! The whole episode has probably held me back by a week or so. Then of course it happened again! this time the 2' x 3' sheet (of proper thick pinboard material) that I bought and kept to one side, got painted and marked up in 5" hexes (in a 7 wide by 5 deep pattern - which just fits the board). Again, furious rules writing took place and so this board sits next to my original pinboard as I tinker around with both, but not getting anywhere particularly quickly with either. Budget - I have substantially exceeded the £20 monthly budget again this month, though much of what I bought will actually not immediately come into play, so future monthly costs will be lower as a result. I am thinking that I will just drop the budget paragrapgh from my monthly project reports. 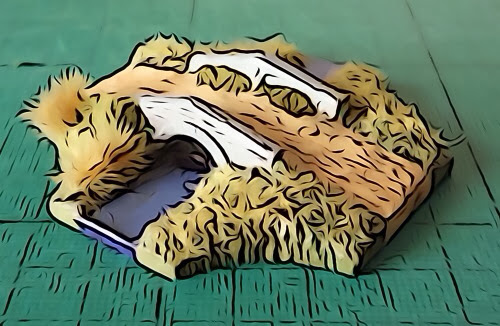 People will naturally spend what best reflects their budget, so cardboard armies, felt terrain and homemade rules will work just as well as anything else and cost very little. The important thing is to just get some gaming done before you lose interest in a project that feels like its going nowhere. Rules - My napoleonic rule search had come to a halt while the WWII side of things (for squares and hexes) took all of my attention and time. However, I came across the 'Snappy Nappy' rules, that were recommended by a poster at TMP and they do look very interesting, despite that title! They use 2 bases per formation, the same as my March Attack rules do, so this might be the way that I organise my Napoleonic forces. I am also re-reading Battlegroup Kursk, hoping that I can use them, though a poster has suggested to me that my playing area may prove too restrictive. I am also not too keen on having the German LMG team on a separate base from the rest of the squad and tracking individual casualties, so I will just have to see how that pans out. (late news - I have just picked up a copy of the Lardies 'I Ain't Been Shot Mum' rules for WWII tactical, I am hearing plenty of people saying they have at last found the rules that they are happy with, so there is something to explore here as well). Figures - I started out the month completing all of the figures that I originally bought as samples a couple of months ago, plus last months extra WWII tanks and infantry. I based the 6mm Napoleonics on 40mm bases (see below) with the intention that a fixed base should equal an artillery battery (2 guns), an infantry battalion (3 ranks) and a cavalry regiment (2 rank). The blocks look good (dense), but I am not convinced that giving up the column / line / square aspect of the tactical battle for a single base formation is going to work for the level that interests me most. However as mentioned above, the Snappy Nappy rules (and March attack) have me now thinking that 2 bases per unit is a useful compromise and I can still have each base tightly packed with figures while reflecting tactical formations. As mentioned above, I have expanded my 'samples' collection with some 10mm offerings, including the larger (and lovely) Kallistra ACW range, Pendraken Napoleonics and Russian WWII. So again, a bit of a distraction in terms of project prepping, but I think it will be time well spent. Terrain - Probably the most significant addition to my pinboard terrain collection this month has been the Baccus 6mm rivers, roads, bridges and ford. Size wise, these are the smallest resin rivers that I have come across, so they compliment the pinboard very well. (above) This is a 'before and after' shot of one of the bridge / water / road combinations and I am pleased with the way that things have turned out. The bridge features are made from a sort of fine clay, so I primed them with white Gesso, the river lengths are in resin and take my tube of students acrylic green quite well. Once painted, I dressed the banks with various flocks and grasses and liberally ran a dirty wash all over the water surface to knock back the blue and make things look a bit more mucky. I still kept the river fairly blue, which though unnatural, does give the contrast that the terrain needs. I could have made the water reflective with some satin varnish, but I play directly below lights and it might just look too much, as well as blowing my photography out. As with anything that I add flock to, I gave everything a quick blast with the fixative spray. The river sections come in packs of 10, each around 6" long. Again, a 'before and after' shot is shown below. The banks have quite a bit of grass added to them, but this photo does not really pick it up. The pieces are quite deep (thick), so the feature can feel raised off the ground, but overall the benefits outweight this consideration. Hedges - this is a great way to use up those crumbly bits of clump foliage that remain after making trees. Put some cheap PVA slightly watered down into an old ready meal dish or such-like and mix the clump foliage bits into it, to get it all moist and tacky. Take a lolly stick (I used the mini ones) and carefully shave down the long edges to give a chamfered edge. Paint the sticks mucky green and once dry, lay an adhesive bead of strong glue (your posh PVA) along the length and then just add the clump foliage in small bits to form a hedge like structure and leave overnight to thoroughly dry - (I mean really really really dry). Action - None! I had hoped by now to be at least testing out some rules with a small collection of terrain and figures, but the previously mentioned distractions still means that pushing some lead around has got delayed - I should have something on the table by next months update. Treats - this month, my treats come in the form of two wargame shows. the first was Hammerhead in Newark (UK), a nice show and new to me, where every game is a participation game. The second show is an annual favourite, the West Midlands Military Show (Alumwell Wargames Society), a place that gets my favourite traders all under one roof, though back-ache limited what I wanted to do and typical of UK shows at this point in time, there is a shortage of seating in the trade / game area for people just to get the 5 minute leg rest that they may need. In terms of the project, shows are of course potentially disaterous for someone like me who flits from interest to interest in the blink of an eye. I generally get home and then think, 'why did I buy that - I could have bought the rest of my French cavalry (or insert another priority here) instead'. But getting caught up in the atmosphere is all part of the fun and happy traders are an essential element of ensuring shows continue to be there for us. The shows have allowed me some access to interesting rulesets, 6mm and 10mm figure / terrain suppliers and grid terrain (hexes) and some bigger items such as free standing hills, so it is little surprise that this month I am having a bit of a wobble with regards to the project direction ..... though the fundamental principles of playing the game on a pinboard and being able to easily store the armies and terrain remain key to what I am trying to achieve here. The project for my purposes crosses the 6mm / 10mm scales and of course others will be thinking of 3mm or 15mm or even outside of that, it being for the gamer to choose their preferences in that regard. So a very busy month in one way, but with not too much to show for it game wise, but things are coming together, so hopefully I will have something more certain and progressive to deliver to you next time. Please check back in a months time, when I will post again. Grids--You don't need the full grid, just the intersections. Either a '+' or a dot to mark the corners of each square. You could even skew the grid so that each area isn't actually a square but a polygon-but for purposes of the rules counts as a square. This would make the grid less noticeable. I thought about doing something like this for some time, so it's interesting to see what you are going to do with it. Congratulations! you're now my guinea pig. I have the same issues with scale. I thought 3mm would be great, but the ACW, like Baccus' 6mm ACW has the troops carrying their rifles on the left shoulder. Accurate for European troops, but not American. What can I say, it bugs me. Good luck on the endeavor. Thanks Stu, I have thought about the polygon idea. Being a boardgamer, that easily translates in my minds eye as 'area movement', so would not look out of place on my table, though polygons are at their most functional when they directly relate to the landscape / terrain. Having said that, I am better with the full hex, rather than just the intersections - I have a paper map done like that and it just looks like someone has thrown a load of caltrops down across the map. Hopefully the project will grab interest, as I think there are plenty of people who want or need to game on a small board and there are folk who are increasingly favouring grids. Mating figures with grids has certainly gained some traction since the Commands and Colors games became so popular. I agree that 6mm is small for small board, especially at night. It is a lot harder to recognise units. I regularly find I have been playing with the odd unit facing the wrong way. For WW2, I don't pay much attention to base sizes but for earlier periods it is a lot more important to make the rules work so I think you are definitely on the right track with your focus on base sizes. For WW2, you seem to be picking rules with single figure casualty tracking (BGK, IABSM). While there are people that do play these rules in 6mm, I am not sure if it is worth it in 6mm. Your project is indeed fascinating. I especially enjoy your detailed descriptions of why you are making the decisions you are making. I have posted links to these articles on my blog, The Scattergun Gamer. I hope you don't mind! Shaun, I am finding it fascinating myself. I suppose what holds my interest is that I am not certain how this will unfold, but hopefully anyone going down the same road can just pick the bits they like and perhaps get a more cost effective entry into something that works. J.W. pleased that you like it and am more than happy for you to share this on your blog. Last night I was going through the various grid and hex references at TMP and saw several of your posts. I hope the 'more certain' direction that my next post takes still keeps people interested.